It seems like the days when comparisons would feature a 3 Series against an Audi A4 are long gone and now everyone’s focusing on SUVs instead. If that’s going to be the case, then comparison between the X3 and the Q5 or the X5 and Q7 are becoming the norm. However, the guys from Throttle House pitted a Coupe-ish SUV against a more practical choice from Ingolstadt. To be more precise, we’re looking at a BMW X4 M40i being reviewed against an Audi SQ5. Some of you might find this comparison a bit off and, technically, you’re right. 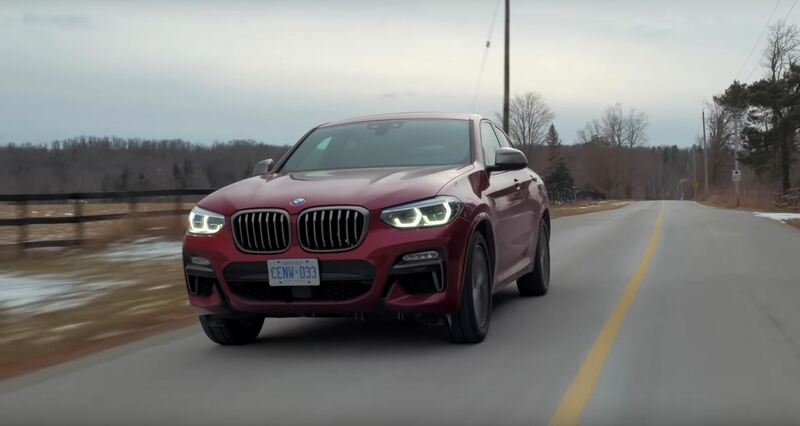 The more natural competitor to the Audi SQ5 is the M Performance BMW X3 M40i. Yet, it’s still interesting to see how the X4 M40i fares against the stylish and quick SQ5. And the two are rivals in all aspects, except practicality. Both of them represent an intermediate level of performance, between ‘regular’ cars and true high-performance models and both have 3-liter 6-cylinder mills. However, while the Audi uses a V6, the BMW sticks to its usual straight-six layout. And, as the guys point out, the X4 has the edge in terms of power but only by one measly HP while the torque figures are the same. The acceleration figures show that the X4 is clearly the faster car here, reaching 62 mph in 4.8 seconds while the Audi does the same sprint in 5.4 seconds. It’s not all about how fast these cars are in a straight line though. Both of them provide more performance than you could need but some might prefer some added comfort, and that’s where the SQ5 shines brightest. Others might want a sharper handling feel and that’s where the X4 is unbeatable.